A beautiful fireplace can help bring even the most boring room to life. Without the proper decoration though, the fireplace can sometimes go unnoticed. The best way to dress up your fireplace to make it the centerpiece of your room is with a great looking fireplace mantel. Fireplace mantels come in all shapes, sizes, and colors. They are used to frame your fireplace and also act as a shelf where photos and other decorations can be placed. Some of the most popular types of fireplace mantels are those with a modern design. Modern fireplace mantels are extremely popular because of their clean lines and classy feel. Some fireplace mantel designs, like British Colonial, and French county, can be very extravagant. This can look great in some rooms but is too over-the-top for many other. Modern fireplace mantels fit well with the decoration of any room because of their streamlined look. They come in many different materials, which themselves come in many different colors. 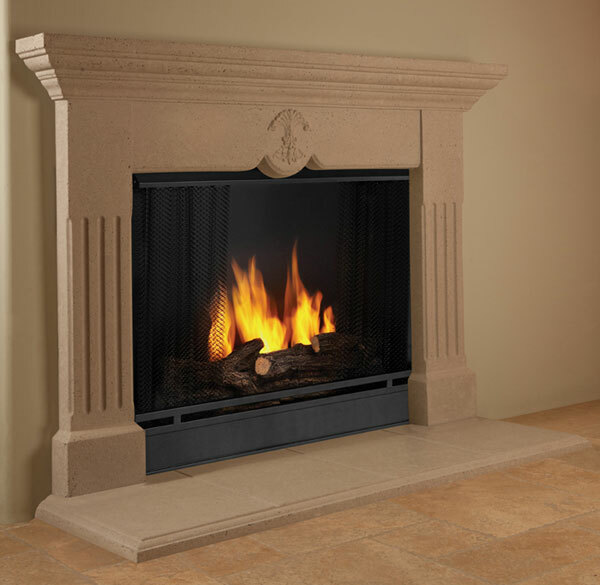 The most elegant modern fireplace mantels are made with natural stone like marble, travertine, and sandstone or cast stone. Marble is a great material for fireplace mantels because it not only looks beautiful but helps to dissipate the heat. We offer marble in many different colors from all around the world. Our showroom has dozens of different modern fireplace mantels to choose from. For those who cannot find exactly what they want though, we have designers that can sit down and help you design a custom fireplace mantel that will look great in your home or office. We can make custom fireplace mantels in any style, material, and color you desire.